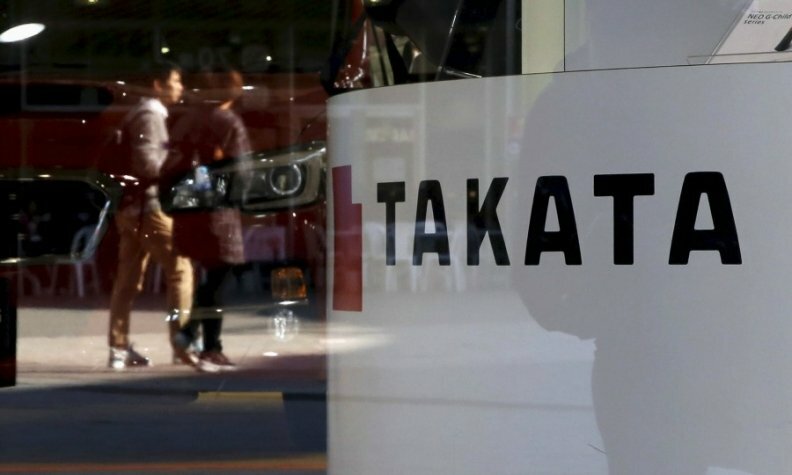 TOKYO -- Takata Corp., the troubled airbag supplier behind the biggest auto safety recall, said it will probably report a third consecutive annual loss as it booked a one-time charge after agreeing to settle a U.S. criminal investigation. The net loss will probably be 64 billion yen ($562 million) in the year through March, compared with a November forecast for a 20 billion yen profit, Tokyo-based Takata said in a statement on Friday. The loss would be the widest since listing in 2006. The supplier posted a net loss of 13.1 billion yen a year earlier. Takata said Thursday it would book a combined 107.5 billion yen in charges. The company has admitted to hiding risks in air bags that have been linked to at least 17 deaths worldwide. It has agreed to pay U.S. regulators, consumers and car manufacturers $1 billion in penalties. Takata is honing in on a buyer after an external committee appointed to lead the search for a financial sponsor recommended Key Safety Systems Inc. The Chinese-owned company was preferred over Sweden’s Autoliv Inc. as the bidder because a sale to Key Safety would have fewer antitrust concerns, according to people familiar with the matter. Key Safety, the suburban Detroit company owned by Chinese supplier Ningbo Joyson Electronic Corp., was also picked over Autoliv because its proposal carried flexibility, the people said. Key Safety is open to the option of letting Takata avoid a court-mandated bankruptcy in Japan, even though the preference is still for a court-led process, a person familiar has said. While Takata said in January it doesn’t envision reorganization through a court-led bankruptcy -- which may disrupt the supply of parts -- the company’s shares and bonds have plunged since reports that bidders are leaning toward such a step for the company as it will shield them from liabilities. The bidders have submitted concrete proposals on the bid amount, but decisions related to bankruptcy protection haven’t been finalized, according to people familiar with the matter.